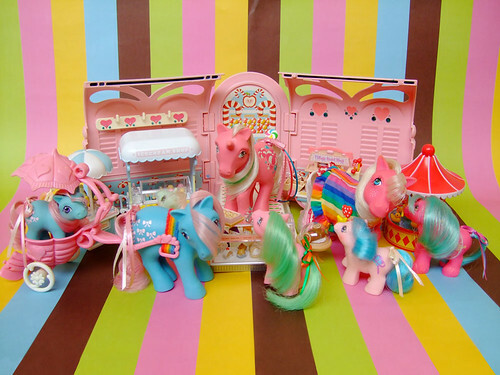 Caramelaw not only do Candy arts but she did some amazing custom on her vintage My Little pony collection! Welcome to The Candy Shop Parlour. All adhesives seen in the Candy Parlour are specially designed and made-to-measure for the customizing. 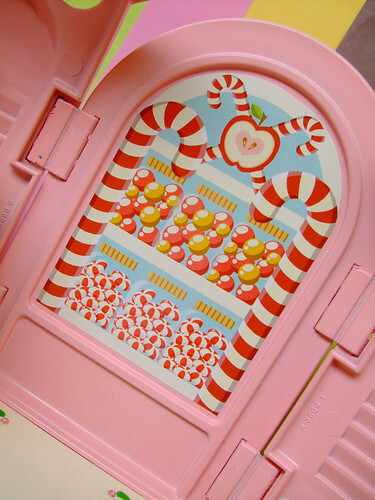 See the Candies deco on the vintage cases? 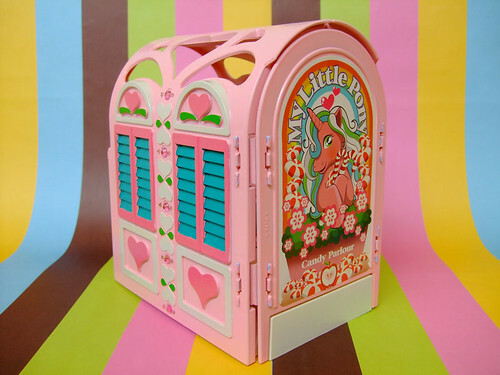 Meet the host or owner of the Candy Parlour, Peppermintie Polly! Isn't she Sweet? It is open for business! The business seems very good! 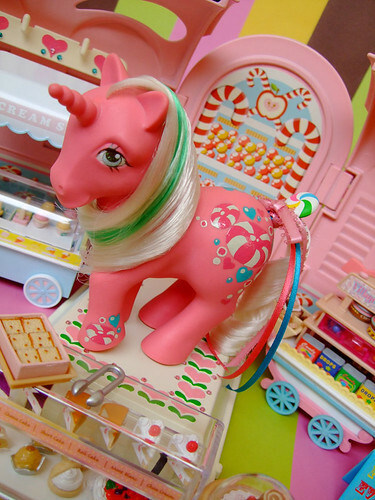 Personally I am impressed that Caramelaw can transformed a vintage pony and accessories to something so new and sweet looking. 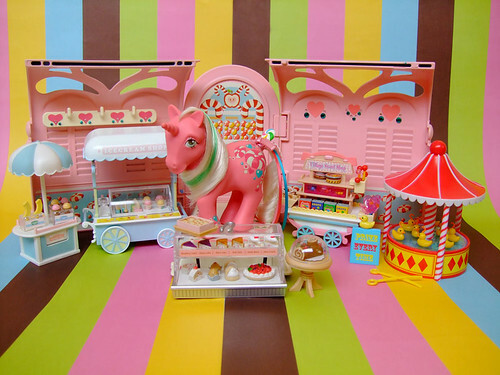 More of Caramelaw's Candy Parlour can be found here. Is this too Sweet for you?